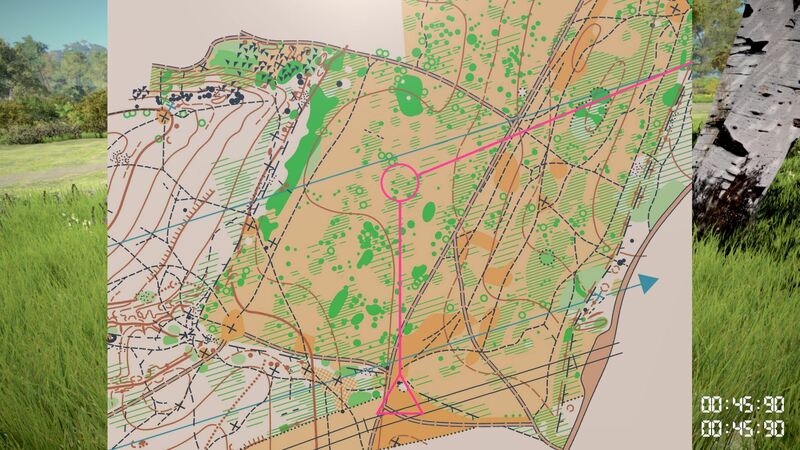 Virtual-O (Virtual Orienteering Simulator) is on Facebook now. It will be stronger with every like. Thanks! Ingame map in action. Map handling (moving, rotation focusing on actual route) is already working. Basic course drawing is there, but still missing control numbers. P.S. I really like that digital watch font used for time elapsed. Sneak peek at day and night cycle, using dynamic clouds and atmospheric scattering. Only the speed of sky and clouds is accelerated, so the movement of trees caused by wind and birds are not. Even day/night events are something that could be done. Small run through map. In this video you will see mainly open parts of the map. There will be a few seconds of the forest at the end. Short video to get things moving. Player is static.